Barring some miracle of diplomacy from Obama, the Ukraine debacle is going to drag Obama's numbers down..
Further, March is the final deadline for TrainWreckCare and will also be the time that actual payments will have to start going to the insurance companies. 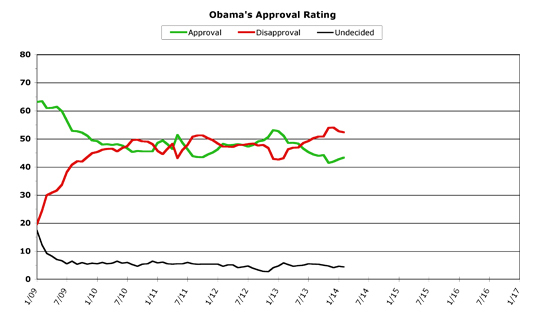 So, my prediction that Obama's numbers are going to tank can still come true.. But Obama is still way underwater.. More people think Obama is doing a crappy job than think he is doing a good job.. I have even noticed a shift here in Weigantia as well.. The ACA had two distinct and specific goals. To make healthcare affordable and to make sure those who are uninsured..
LESS than 10% of those signing up for obamacare were previously uninsured. So, obamacare is NOT bringing health insurance to the uninsured masses and obamacare is NOT bring healthcare costs down to the 'affordable' mark. Seriously--You REALLY need to check in with reality once in a while. Insuring the uninsured was a BONUS not the goal of Obamacare. That's the Right's welfare dog-whistle spin on Obamacare. The GOAL of Obamacare is to rein in COSTS across the board. And your "only 10%" of those signing up were uninsured means 90% are INSURED who SWITCHED to using the exchanges to get a better deal. Apparently Obamacare is reducing costs and making healthcare more affordable.--Go figure. And, somehow, YOU managed to miss the obvious and come to the exact opposite (and completely erroneous) conclusion. (Why am I not surprised?) Based on nothing but your prejudice. That the insured would only switch to using the exchanges if they offered better deals is self-evident. That the uninsured are not enrolling? !--Assumes facts not in evidence. That all uninsured aren't immediately enrolling? No surprise there. That's what the progressive tax penalties are for. To alter behavior and compliance, over time. Extrapolating the failure of Obamacare from the lack of immediate universal compliance is a Right-wing straw-man. And yet another example of your faulty logic. 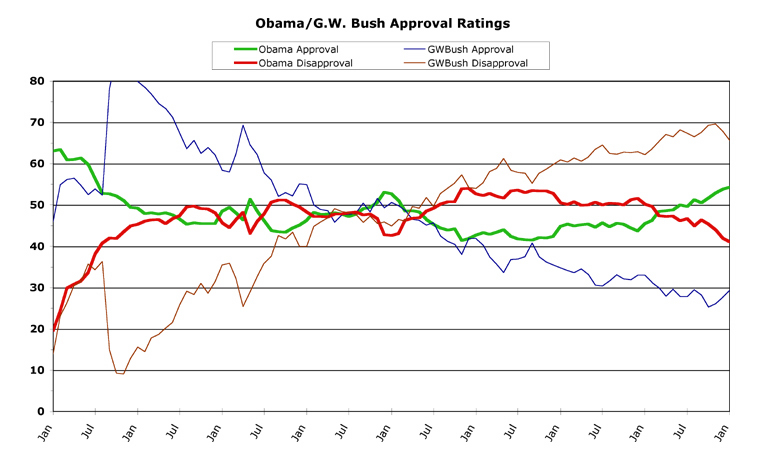 OK, we've all been listening to your predictions of Obama entering Dubya territory for months now. Seriously--You REALLY need to check in with reality once in a while. Insuring the uninsured was a BONUS not the goal of Obamacare. Did you REALLY just say that?!?? The NUMBER ONE REASON for TrainWreckCare was to bring health insurance to the uninsured. That is what was quoted time and time again by Obama and the Democrats..
Dood, you are SERIOUSLY delusional in your Obama fixation.. But, I tell ya what. I am always a fair guy.. If you can get ONE Weigantian to back you up with this claim, I'll seriously consider that you might be right. Then I will post link after link after link after link proving you and your backer utterly wrong.. So, let's let the peanut gallery decide.. Does anyone else believe that bringing health insurance to the uninsured was NOT one of the top reasons, if not THE top reason, for TrainWreckCare?? Tell ya what, CW. Like I told LD above, I am a fair guy.. 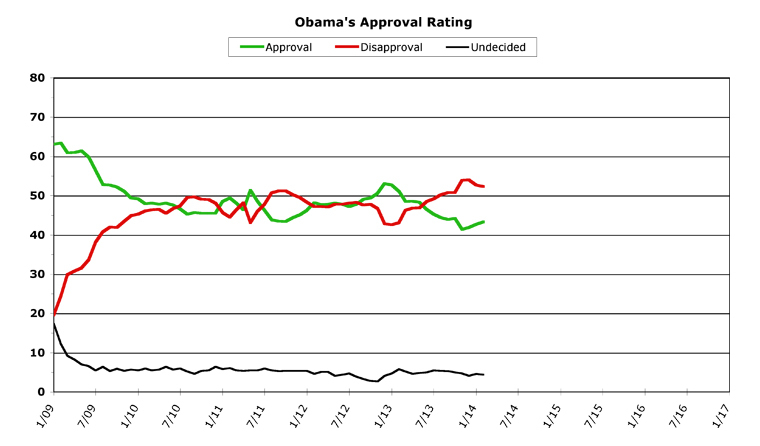 If Obama's numbers are STILL above 40%, then I will concede that I was wrong and ya'all were right.. This is a BI-PARTISAN bill (as opposed to TrainWreckCare itself, which was ALL Democrats and ZERO Republicans) so it's clear that Democrats are also against the Individual Mandate Penalty.. It's amazing that stuff like this is common knowledge.. Yet Obama still garners unquestioning loyalty and blind devotion from the majority of the Left..
Can anyone answer that question honestly and truthfully??? Note that of the three goals two are reducing costs, throughout the healthcare system. Now, lets see YOUR refutations, and I don't mean opinion pieces. Let me also point out that your Daily Caller cite is as misleading as your claim that the ACA WASN'T "bipartisan." The blogger in the piece wasn't censored. He seems to be under the bizarre impression that being paid by someone to write for them means he can write whatever he wants, however he wants and express his opinions instead of his employers. For all the other "journalists" with IQs less than their shoe size, the first amendment doesn't guarantee you can take a salary for doing one thing and then do as you please just because you consider yourself to be a journalist. And not being allowed to do as you please is not "censorship." If you want to write whatever you please you either have to find someone willing to pay you for it or write freelance. And as the majority of the ACA was created by Republicans it could hardly be more "bipartisan." You don't get to redefine words in the English language to suit yourself. Legislation does not have to have votes from both parties to be bipartisan. That's a "new rule" created by Republicans just so they could claim that their unprecedented obstructionism means a lack of bipartisanship on the part of Democrats. It does not. That's a lie. ANOTHER lie. • ObamaCare's goal is to give more Americans access to affordable, quality health insurance, and to reduce the growth in health care spending in the U.S.
You REALLY only see what you want to see don't you? In YOUR cite reducing costs is STILL two of the three goals, and the uninsured aren't even mentioned. Unchecked Medicare was forecast to be unsustainable do to rising healthcare costs. You wingers may actually believe the federal government is all about giving away your money as handouts to poor people, but it just ain't so. ACA is about preventing GOVERNMENT healthcare costs from bankrupting the nation. It just found a way to reduce its costs while reducing everyone elses, and expanding coverage to the uninsured as well. Spin all you want, LD. But you are alone when you think that bringing health insurance to the uninsured was NOT one of TrainWreckCare's goals.. The problem is that TrainWreckCare was ALL about bringing health insurance to uninsured Americans. RIGHT up to the point that relatively NO UNINSURED Americans were signing up for TrainWreckCare..
"We are at war with East Asia. We have always been at war with East Asia"
I never said making coverage available to the uninsured wasn't a goal. I said it isn't the primary goal. It isn't what Obamacare is all about. "Giving more Americans access" means All Americans, not just the uninsured. Eliminating lifetime caps and preconditions, reducing costs so lower deductibles are affordable makes coverage more accessible to those who ALREADY have insurance as well. I could care less what everyone on the right says, or what the uninformed who parrot their spin say. Obamacare is about healthcare reforms to keep spiraling costs from making healthcare unaffordable for EVERYONE, including the United States government. It simply does it in a way that ALSO makes coverage more accessible to the uninsured as part of making coverage more accessible to EVERYONE. Perhaps you should begin rethinking your positions when the only argument you've got is "everyone in the right-wing bubble says...."